April Mason joined Kansas State in January 2010 as provost and senior vice president. She came to K-State from Colorado State University, where she had been dean of the College of Applied Human Sciences. Mason had been dean at Colorado State since August 2004. She supervised the operations of six departments and three schools with about 100 tenure track faculty, many special appointment and adjunct faculty, 4,000 undergraduates and 850 graduate students. She also was a professor in the department of food science and human nutrition. Before joining Colorado State, Mason was associate dean for extension and associate dean for discovery and engagement in the College of Consumer and Family Sciences at Purdue University. As a faculty member in foods and nutrition at Purdue, she conducted research in the area of trace mineral availability from plant foods. She also taught in the cooperative extension program at Purdue for 20 years. 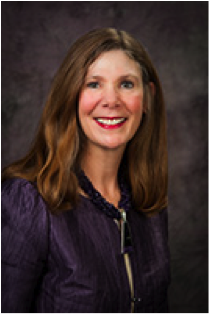 She was Colorado State's representative to the Association of Public and Land Grant Universities' Board on Human Sciences, where she has been on the executive committee since 2005 and board chair beginning in 2009. Mason is author or co-author of 24 refereed publications, 40 published research abstracts and seven book chapters and proceedings. Her research has been supported by more than $12 million in grants in the past 10 years, and includes numerous grants from agencies within the U.S. Department of Agriculture. Her research focuses on the availability of key nutrients from plant based food products, which provide critical calories and essential nutrients to a large proportion of the world's population. She also presents lectures on food safety and food security. She is a member of numerous academic, professional and scholarly societies including Sigma Xi; American Association of Family and Consumer Sciences; Institute of Food Technologists; American Society for Nutritional Sciences; Epsilon Sigma Phi extension fraternity; and Gamma Sigma Delta. She attended the Overseas School of Rome in Italy before going on to earn her bachelor's degree in biology from Mount Union College, Alliance, Ohio. She has a master's degree in plant physiology and a doctorate in foods and nutrition from Purdue University.